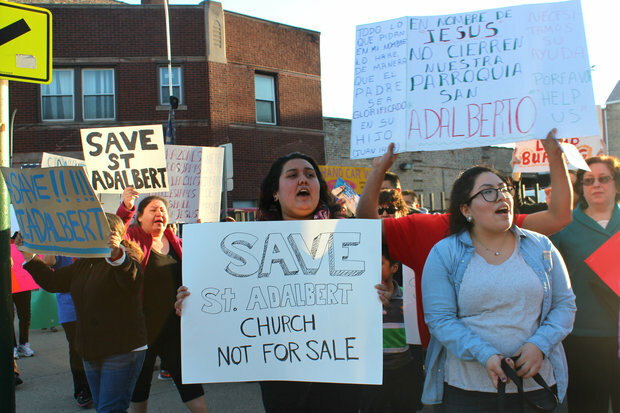 About 100 parishioners protested the planned closing of St. Adalbert's Catholic Church in Pilsen Friday. PILSEN — As plans to sell an iconic neighborhood church loom, a group of Pilsen parishioners promise to fight the closing of St. Adalbert's to the end. With the church bells ringing, about 100 parish members staged a protest outside St. Adalbert Roman Catholic Church in Pilsen Friday evening. They plan to repeat their protest at the church every Friday for now, said Richard Olszewski, whose Polish family has attended St. Adalbert's for four generations. "It seems like we're fighting and fighting, but we're going to fight to the end," Olszewski said. In February, the Archdiocese of Chicago announced that St. Adalbert would close due to the more than $3 million in repairs needed to fix the church's 185-foot towers, which have been surrounded by scaffolding for more than a year. Reporter Stephanie Lulay with the latest twists in the fight for St. Adalbert's. Despite a huge donation in March, Catholic officials said earlier this month that the church would still close. The donation wasn't enough to offset future maintenance costs and doesn't address the declining number of Catholic parishioners in Pilsen, leaders said. "With St. Adalbert's weekly [mass] attendance consistently below 600 the past three years and the lower overall population in Pilsen now compared to 10-15 years ago, it is unlikely that, whatever the investment, there would be sufficient parishioners and ongoing financial support around which to build," Auxiliary Bishop Alberto Rojas wrote to Rev. Mike Enright. While a March donation to the church from a parishioner that died was believed to have been worth $3 million, the actual value of the donation, made in stocks, ended up being worth about $1.7 million, Olszewski said. Archdiocese officials said the donation would cover "less than half" of the repairs needed. The donation was made by a parishioner who died and left the large sum to a nephew, with instructions to donate it to St. Adalbert when he died. When it was announced last month, parishioners hoped the donation would convince the Archdiocese of Chicago to keep the church open. For longtime members, including a group of parishioners who moved to St. Adalbert's when St. Vitus closed in the 1990s, the move to close the church is heartbreaking, Olszewski said. "People are saying, 'That's it.' 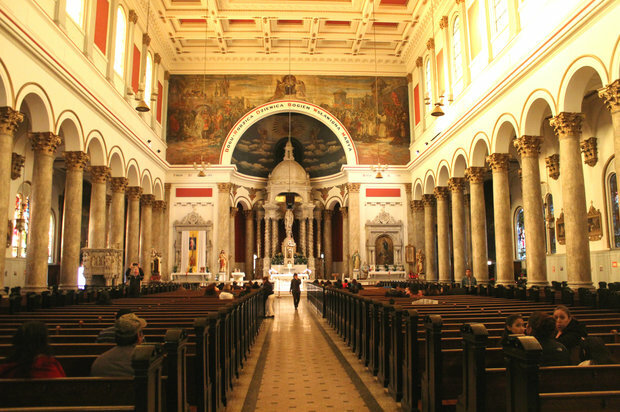 They're going to stop being Catholic, or they'll watch [mass] on TV and not give any more money to the church," said Olszewski, who is heading efforts to save St. Adalbert's. "People feel like the Catholic Church doesn't want to help us." Olszewski said the parishioners are capable of raising more money, they only need time. "I believe we can raise the money to fix the church and set aside money for the future of St. Adalbert's," he said. If the church is sold, preservation activists are working to ensure that the Renaissance Revival building will not be torn down. Ward Miller, executive director of Preservation Chicago, told DNAinfo Chicago radio Friday that he has approached church leaders with a plan to repurpose the church building into a world-class music school that would provide music lessons to children and adults. The sanctuary would be used as a music theater that rivals the best music spaces in the world, he said. Preservation Chicago named St. Adalbert's to their "Most Endangered Buildings" list in 2015 and 2016. "It would be a terrible loss to lose this building as a structure," he said. Olszewski said a developer is also eyeing the property, with plans to build condos at the site. "This church is built to be a church. It's not built to be condos. It's sacred ground," he said. If the Archdiocese is intent on closing the church, Olszewski said he hopes the church can continue to be used as a place of worship and one day reopened as a Catholic church. After Our Lady of the Angels in West Humboldt Park was closed in 1991, the building was leased to Miracle Temple Church of God in Christ for two decades and reopened as a Catholic church in 2012. As the tallest building in the neighborhood, the church is also a larger symbol for the people of Pilsen, said Byron Sigcho, executive director of Pilsen Alliance, and hosts a number of annual community events, including mass after Via Crucis, the Living Stations of the Cross procession which brings thousands of Catholics to Pilsen on Good Friday every year. "The baptisms here, the first communions here, the people who have gotten married here, these are memories," Sigcho said. 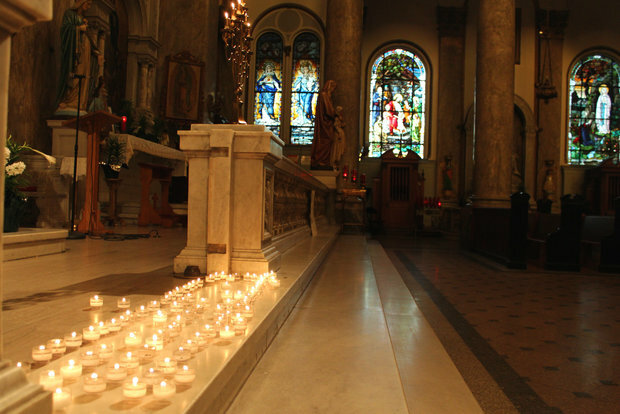 "Closing the church would tear at the social fabric of Pilsen." The move to close St. Adalbert's is part of the Archdiocese's larger plan to reconfigure six Catholic churches in Pilsen into three, closing multiple churches in the process. Founded by Polish immigrants, St. Adalbert Catholic Church at 1650 W. 17th St., was built in 1912. The parish was founded in 1874, and now hosts weekly services in English and Spanish and a monthly mass in Polish.